People going through a divorce have many options when it comes to choosing a lawyer. Finding the right lawyer to guide you through this process can have a significant impact on the outcome of your divorce. The decisions you make today and throughout the proceedings are decisions most families will live with for years to come, particularly those relating to parenting time, child support, and finances. The right advice at the outset can help you make the right decisions today and in the future. Experience – Your attorney should be focused on divorce and family law. This is a complicated area of law, particularly when children are involved. Look for lawyers with experience, reputation, and references. Candor – A good attorney gives you a candid assessment about your case and your chances on specific issues. Your lawyer should be a pragmatist, offering realistic evaluations to speed resolution. Children – If you have children, your attorney should make your children a priority and help you minimize the impact of divorce on them. Focus – The right attorney will focus on the important issues, providing intelligently aggressive representation. Avoid attorneys who promise to fight for everything and see divorce as a win or lose proposition. That mindset disrupts resolution and hurts all parties to the process, especially children. Demeanor – Your lawyer should answer your questions and be accessible to you, as well. Look for a lawyer willing to take the time to do so. Problem Solving Skills – Your attorney should identify problems and solve them – whether through counseling, wise advice, mediation, collaborative law, or possible trial. A good attorney looks at all the options to solve a problem in order to minimize the impact of divorce, particularly on children. An attorney with these skills will provide the right balance of aggressively intelligent representation, confidence, and comfort, whether you are in the early stages of dissolving your marriage, negotiating child support and custody agreements, or modifying an existing order. When it comes to divorce, there may be no more important decision you will need to make than hiring the right attorney to represent you. You will be looking for someone who is not only a knowledgeable divorce and family law attorney, but who is also a person you can entrust with the intimate details of your family life and finances. In short, you will be looking for an attorney with integrity whose judgment you respect.Not every lawyer can fill this bill. Not every lawyer will be able to listen carefully and be responsive to your concerns. You will need someone who can skillfully guide you through each step of the process and “think on their feet,” as the saying goes – because divorce can throw you some curve balls at times, and it’s important to have an attorney whose experience provides a big-picture perspective so that he or she can help you develop creative solutions to problem issues and employ strategies that will result in the best possible outcome for you. Because your future is on the line, now is the time that you require solid, reliable representation. Hiring an attorney who doesn’t return your phone calls or your emails, or who doesn’t keep you updated about what is going on, or who handles your case in a way that ultimately causes you additional headaches, can truly make your life miserable. Most attorneys are better than this, but what you need is to make the very best choice you can, so it’s wise to look for someone who has the personal qualities you find admirable – someone who is honest, reliable, diligent, and persistent. Initially, you may wonder whether you should hire a divorce attorney or whether you should go the do-it-yourself (DIY) route – after all, divorce forms are available online, and surely you can follow the dots? Certainly, DIY is an option, but hiring an experienced attorney can make an enormous difference in how well you come out in the end. If you represent yourself, your lack of knowledge about legal procedures and the law itself will inevitably handicap you and hurt your case. All it takes is one “little” mistake. There are no re-do’s when it comes to divorce, and serious life-altering mistakes can easily be made. Let’s take an example: If you were to decide to accept your spouse’s property settlement proposal without asking an attorney to review it to make sure it’s in your best interests, you could easily wind up with a deal that you regret later. This is but one of many, many negotiations that you must traverse – with someone in opposition to you, someone who has his or her own best interests at heart, not yours. After all, you are getting a divorce. 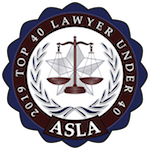 It’s important to factor in that you are about to be a party to a lawsuit – and you probably have an adversary who is as intent on achieving a favorable outcome as you are. You may still trust your spouse’s intentions to do the right thing by you, but when you are involved in divorcing this person, it is simply not prudent to rely on those intentions. Doing so could prove to be quite foolish – and, ultimately, a huge mistake. There are a few things to keep in mind about a divorce. The first is that you two really are no longer a team, and you do not truly know what the other person is up to. He or she could already be consulting with a lawyer without telling you. This gives your spouse a leg up if you are still in “let’s do it together” mode. Alternatively, if indeed neither of you consults a lawyer, you still may come out holding the short end of the stick. Your spouse may prove to be a far sharper adversary than you anticipate, and the deal you two strike may appear to be “fair,” when it actually is not fair to you at all – something you may not discover until all the papers are signed. You may find it difficult to reach out and make that first appointment with a lawyer. It’s a big step, but so is divorce. Procrastinating, however, will only slow down your access to the critical legal advice you’ll need to get through the whole process and put it behind you. Divorce lawyers deal with the emotional aspects of divorce every day, and they understand it can be a difficult – even overwhelming – experience. An experienced divorce attorney understands all of this and can easily appreciate how difficult it is for someone to seek assistance from a total stranger about personal, private matters. For this reason, he or she will do everything possible to help you feel comfortable and assist you in understanding the divorce process and the road that lies ahead. 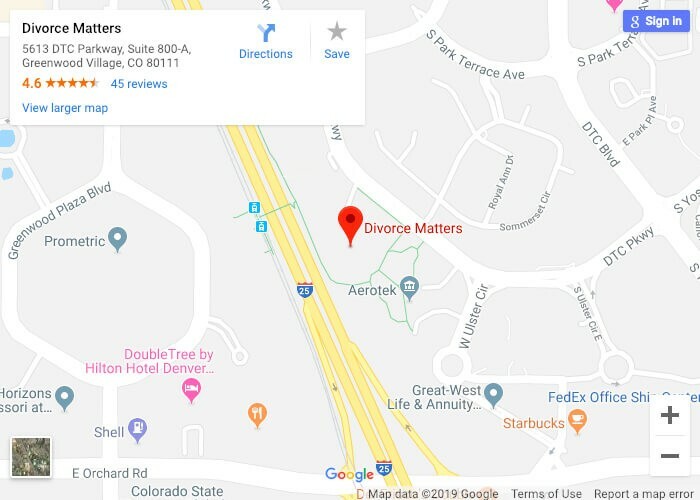 We at Divorce Matters® have provided a great deal of legal information for you here on our website. You can look for further answers to your questions about other divorce matters, such as child custody, child support, spousal support (alimony), division of property, and much more. Selecting a lawyer to represent you is a matter of personal judgment, so you will naturally be looking for someone you can trust and relate to easily. Your divorce is bound to affect you and your family significantly – both emotionally and financially – and it will undoubtedly prove to be a very challenging time in your life. With the right lawyer by your side, though, you will be well on your way to winning the fight. Call us to schedule your confidential case evaluation and assessment today.